"Come and join us here"
This is an artist's impression of what the Heritage Motor Centre's new Museum Collections Centre will look like. Construction work is now well underway and on schedule for opening on 1st October. As a result more volunteers will be required to help run this excellent new building, which will house a diverse collection of British built cars and prototypes. The role involves facilitating access to the new museum for public viewing, guiding tours and valeting the collection. So, if you have an interest in motor cars, the motor industry, people, or just want a project for your spare time - then why not get involved? No previous experience is required - so why not join us? The Trust would love to hear from you. 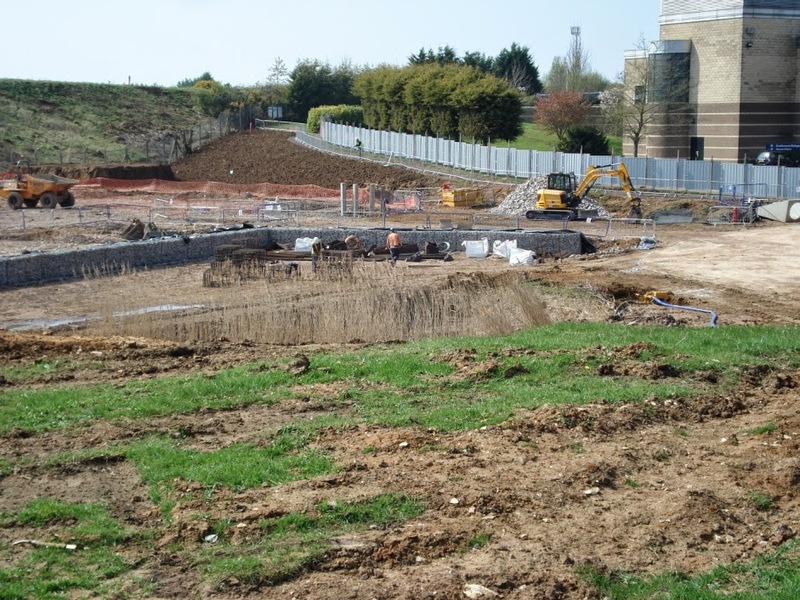 There's not much to see at the moment as the ground work continues and the footings are laid. The steelwork is due soon and then the building will really start to take shape. If you've not visited this blog before then do trawl through the archives which will give you a good idea of who we are and what we get up to. Our first blog "About us" is a good starting point. If you follow this link here to the HMC's website can check the volunteer role profiles and download or fill-in an online form or request one by post.